We would like to wish Dr. Robert Lokey a happy and healthy retirement. We are happily accepting his former patients. Watch This Surprisingly Brutal Crash Simulator! Dr. Daniel Erthal is a chiropractor serving Macon and the surrounding area. Our chiropractor and the rest of the welcoming team at Erthal Chiropractic are committed to providing chiropractic solutions to address your unique needs. Even if you're looking to improve your overall health, our chiropractor can help you attain your everyday wellness goals! 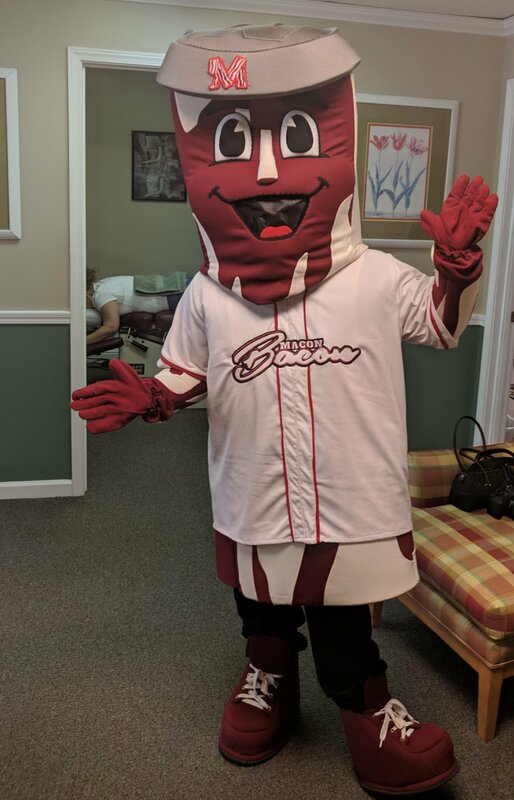 Visit our Testimonials page to find out what our patients are saying about our Macon Georgia chiropractor and our chiropractic Payment Options. At your first visit to Erthal Chiropractic, Dr. Daniel Erthal will explain how chiropractic care works. What to Expect? If you have not been to a chiropractor before and want to find out more, please Email Us or call 478-742-1858 to receive the answers to your questions from our experienced team. We also welcome referrals, so we invite you to share our chiropractic and wellness information with your friends and loved ones. Dr. Erthal has been serving the Macon area for well over a decade and would love to help you. If you are in the Middle Georgia / Central Georgia area Erthal Chiropractic is the place for you. There are many Macon GA Chiropractors, call to see it Dr. Erthal is the one for you! 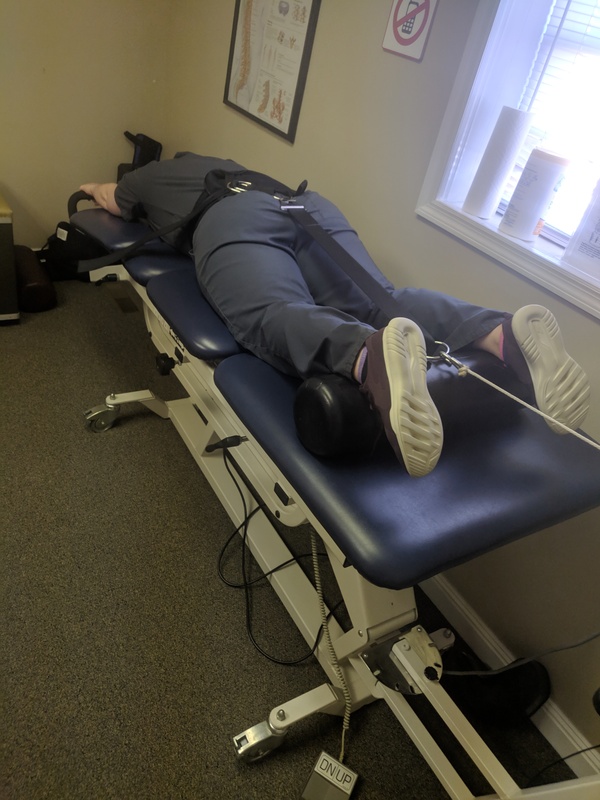 Spinal decompression stretches and relaxes the spine in a controlled manner, using a traction table or similar motorized device. This type of traction therapy relieves back and neck pain, along with pain radiating into your arms or legs. Many conditions can cause neck, back and radiating pain. Rubbery discs cushioning the bones of the spine can bulge or herniate to allow their gooey centers to rub against nerves, causing pain. Degenerative disc disease occurs when these discs begin to break down and allow the bones of your spine to grind against one another. Sciatica is a specific type of back pain that radiates down one leg. Facet syndrome causes pain when the joints of your spine become inflamed. Spinal stenosis causes pain when the inside of the spinal column narrows to pinch the nerves it houses. 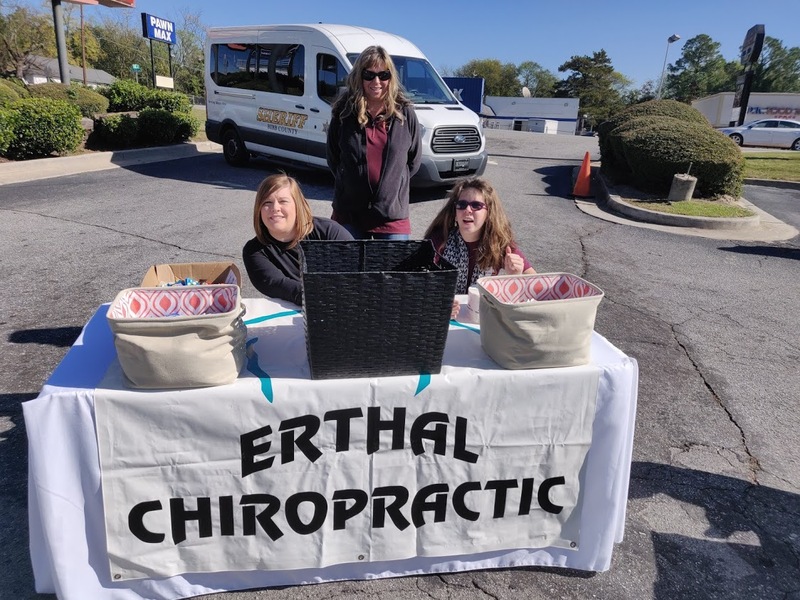 Erthal Chiropractic is the Official Chiropractic Partner of the Macon Bacon. Roxanne Armstrong L.M.T is our In-house Licensed Massage Therapist. Roxanne’s Relaxing Effects Massage Therapy Services will help you feel like a new person. Roxanne Graduated Valedictorian from American Professional Institute (b.k.a. A.P.I.) in Macon, GA in 2004 then returned to A.P.I. as a Massage Therapy Instructor for Four Years (2005 – 2009). Roxanne teamed up with Erthal Chiropractic in 2010 and has grown her client base with quality Massage Therapy. To schedule an appointment please visit http://www.RelaxingEffects.com and click the blue “Schedule Now” button. Dr. Erthal’s Chiropractic Office is a family focused, modern day facility offering professional Chiropractic care in a relaxing environment. At Dr.
Our Office Manager Shelly Griggs will answer any questions and help you to complete any paper work or forms that need to be completed. "This office and staff are the most dedicated to their patients. I received the best treatment."